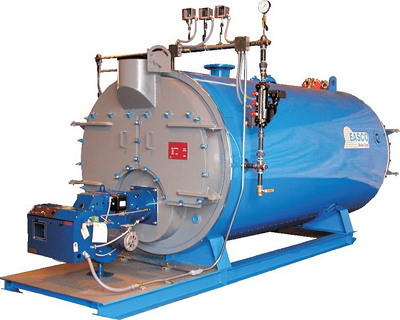 That’s a four pass Scotch marine boiler you’re looking at – made by EASCO in the Bronx, New York City, United States of America. EASCO stands for A.L. Eastmond and Sons Inc., a multi-million dollar company that is one of the largest boiler manufacturers on the Eastern seaboard. With almost one hundred employees EASCO is also the largest black-owned boiler manufacturer pretty well anywhere. A.L. Eastmond and Sons Inc. (EASCO) has made its mark all over New York City. Chances are that the boiler in your apartment building was built by them. This successful multimillion-dollar business, started by a blacksmith from Barbados nearly a century ago, now spans three generations. EASCO’s CEO is 85-year-old Leon Eastmond Jr. He told the AmNews how it all began in 1925. “My dad came from Barbados and worked for other companies for several years. He bought a fleet of taxicabs. In those days, there was no permanent antifreeze and you had to let the water out of the motors at night so they wouldn’t freeze. The drivers left the water in the blocks and the motors froze overnight and cracked, making the cabs useless. Who says nothing is happening with the “H” Hotel! Frankly, we’re tired of hearing rumours of ‘go slow’ construction at various Harlequin projects. We’re tired of hearing rumours about massive Harlequin construction projects with only five or six workers on site. We’re tired of hearing stories of Harlequin selling units that have yet to be built on land that hasn’t yet been purchased by Harlequin. We needed something real to look at – something where we could believe our own eyes. So we were pleased to see these very positive photos posted on the controversial exposé website Harlecon.net – because they show the amazing construction progress at the Harlequin “H” Hotel in Barbados. Just look at the progress! Look at the dozens of workers swarming over the site like a beehive that’s been kicked. Materials delivery trucks coming and going, welders working on rebar, concrete forms being erected, shovels digging trenches for service pipes, foremen yelling orders. The din must be incredible. No wonder they have accomplished so much in six weeks since the top photos were taken. That should put all those nasty rumours to rest.